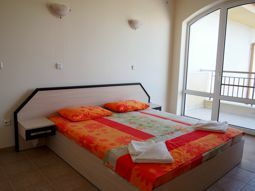 Holiday apartment, just 5 minutes walk from the southern beach of Ravda. 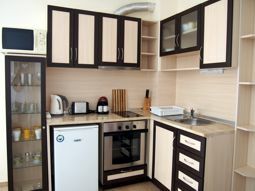 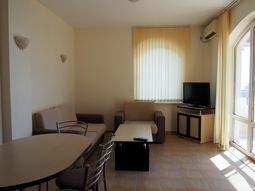 The apartment is located in a new luxury complex offers outdoor swimming pool, children pool, bar-cafeteria. 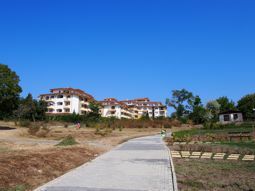 The village center is located only 10 minutes walk. 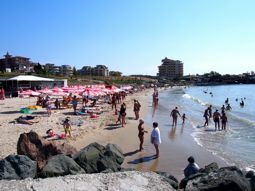 There you can find many shops, restaurants, pizza-bars, coffee bars. 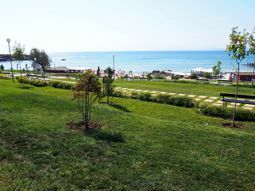 Children playgrounds are located in the central part of Ravda. 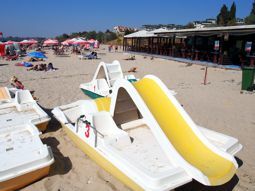 Regular bus to nearby destinations and attractions is available - Aqua Park in Nessebar is only 10 minutes by car. 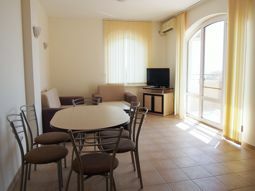 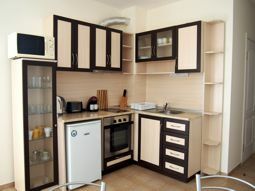 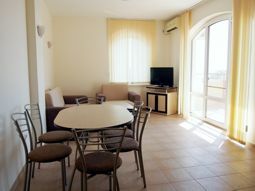 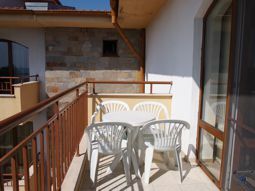 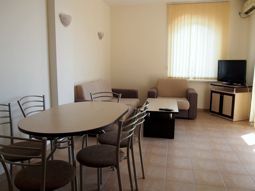 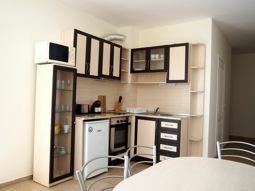 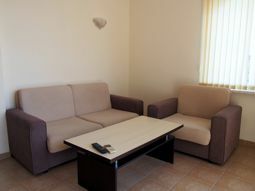 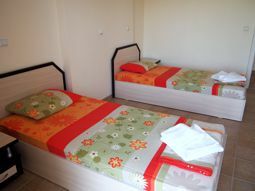 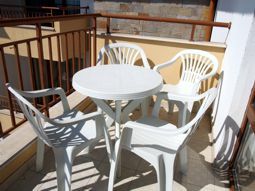 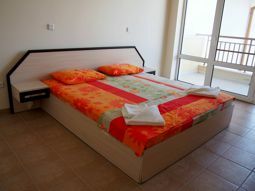 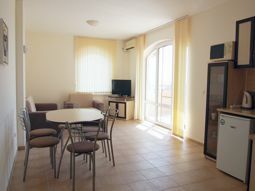 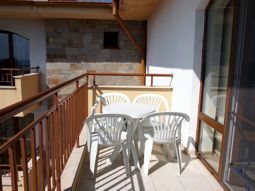 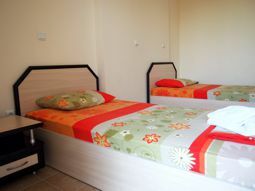 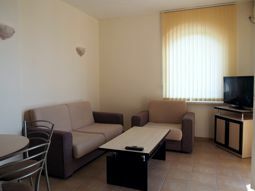 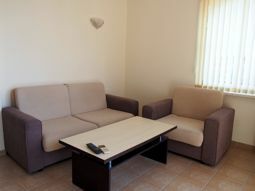 The apartment offers two bedrooms – one with double bed, the other with twin beds. 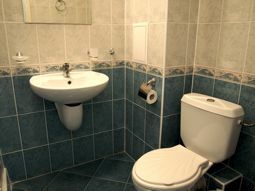 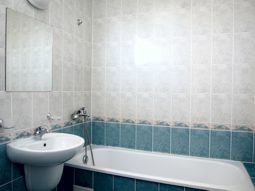 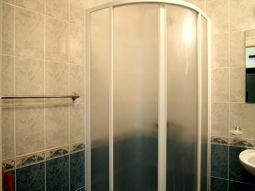 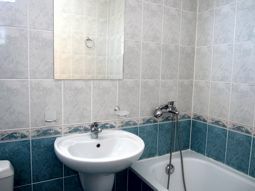 Two bathrooms - one with shower cabin, sink and toilet and the other with bath tub, sink and toilet. 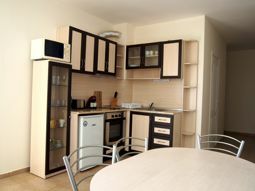 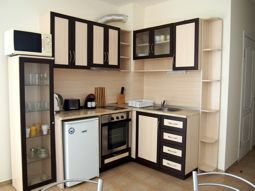 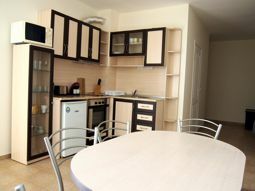 Spacious livingroom with comfortable sofa - bed where two people can sleep; dining area with table and chairs; fully equipped kitchen with oven, hot-plates, microwave, toaster, kettle for hot water, coffee machine and all necessary pottery for preparing and serving food. 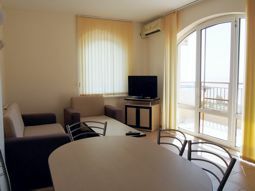 The dining room leads to a balcony with beautiful sea and pool view. 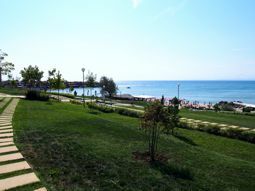 The small village of Ravda is situated between Nessebar and Aheloy village. 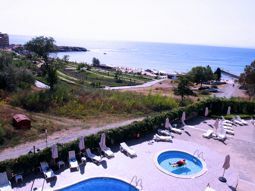 It is just 28 km north of Bourgas, only 1 kilometer from the main road. 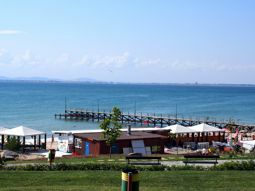 The town of Nessebar is just minutes away from Ravda. 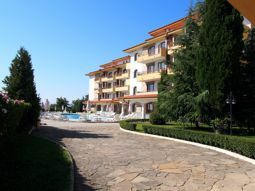 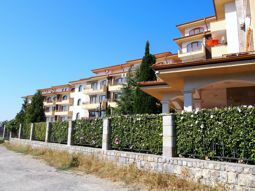 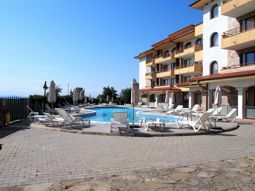 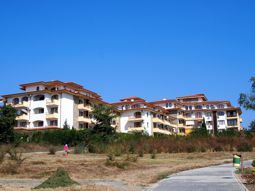 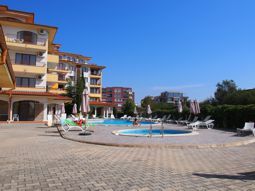 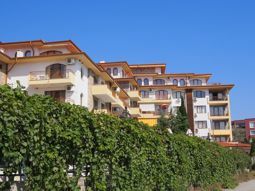 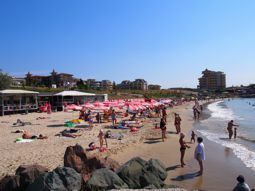 North of Nessebar is Sunny Beach - one of the most luxurious Bulgarian resorts, offering all kinds of tourist services. 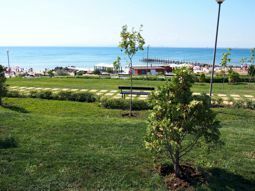 Staying in Ravda you can also visit the Holiday Village Elenite, Sveti Vlas and the beautiful Emine Cape - one of the two most remarkable nose of the Bulgarian Black Sea coast. 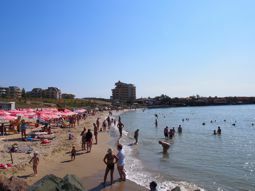 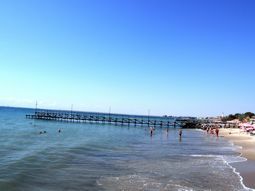 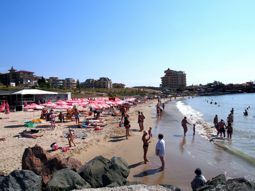 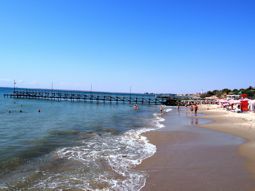 Ravda has several large, beautiful and clean beach bays, reaching the nearby town of Nessebar. 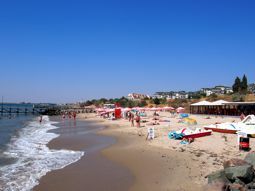 The village offers various sports facilities and beaches with fine sand, lifeguards, beach umbrellas and sun-beds. 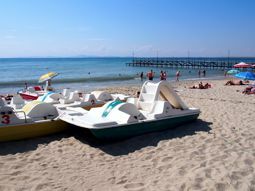 In summer there are sports schools in sailing, water skiing, windsurfing, rowing and swimming. 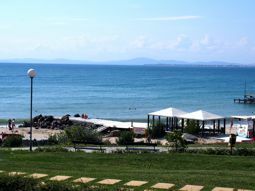 A clean beach and calm place with fresh air are essential for a quiet family holiday. 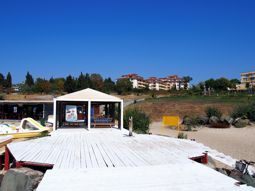 The village has many restaurants, pubs, taverns and beer bars offering different types of international cuisine and fish specialties. 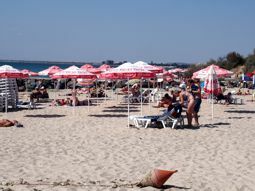 The town and the beach is teeming with fast-food kiosks, there is also a roadside caravans with soft drinks, beer and grill. 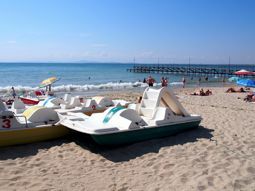 Regular bus provides a link from Ravda to Bourgas, Nessebar and Sunny Beach. 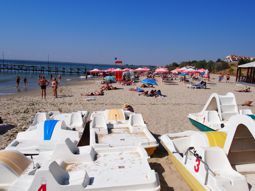 Route taxis, minibuses runs on the same route. 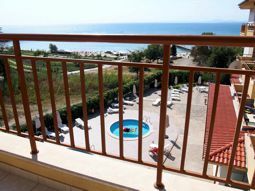 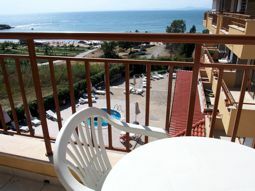 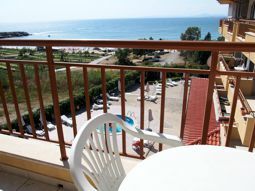 Private bay with wonderful views, crystal clear sea with a great air, close to city life and yet quiet location, situated near Sunny Beach - it's the fast-developing sea resort Ravda. 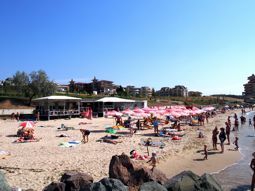 - Sunny Beach - 5 km. 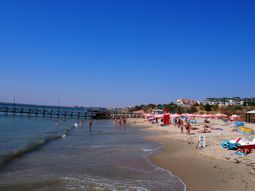 - Burgas - 28 km. 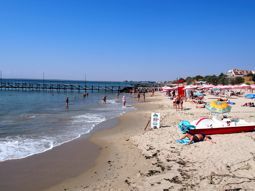 - Varna - 70 km. 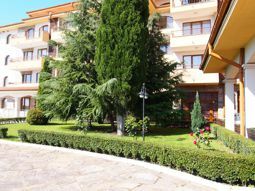 - Sofia - 358 km. 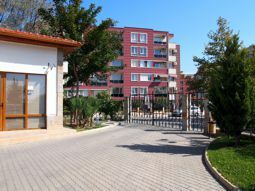 - Plovdiv - 248 km. 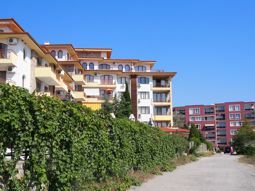 - Veliko Tarnovo - 173 km. 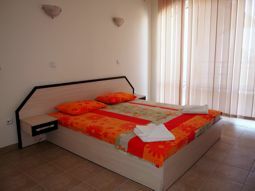 Complex Dream Holiday,Ravda town - comments and recommendations from clients of ours and guests, who spend their vacations with us ..